Many homeowners love DIY projects around the house. From painting to yard work, it can be fun and rewarding to do home maintenance projects. There is certainly plenty of home maintenance work that can be handled without calling a professional. However, roof cleaning is not one of them. Especially in Portland, Vancouver, and the Pacific Northwest, regular roof cleaning is critical to remove moss and other weather-related issues. Roof cleaning prevents decay and other costly damages to your property. It also extends the lifespan of your roof, protecting an important asset to your home. While technically you can clean your own roof, it’s not recommended. From personal injury to property damage, there are plenty of compelling reasons to leave roof cleaning to the professionals. 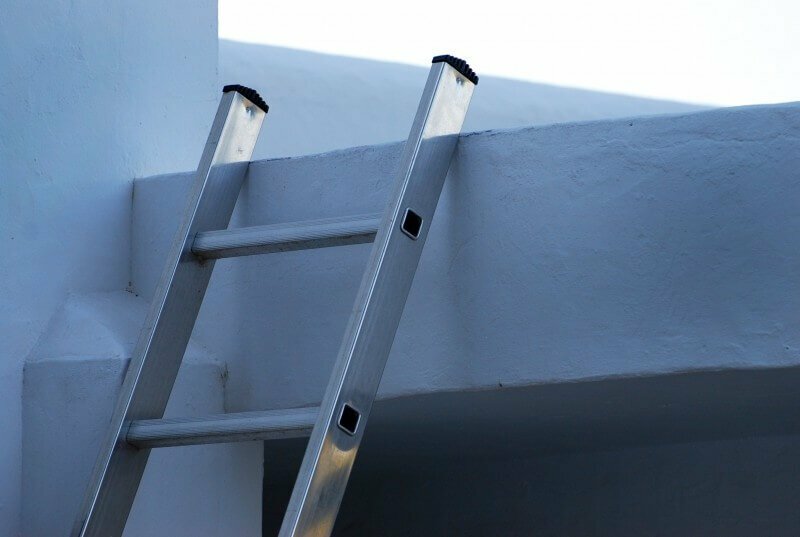 Before you go grab your ladder and head out on the roof, consider why cleaning your own roof might not be a great idea. Let’s get real. Roof cleaning is dangerous. You may not think your roof is too high or too slanted, but you may change your tune once you’re up there. 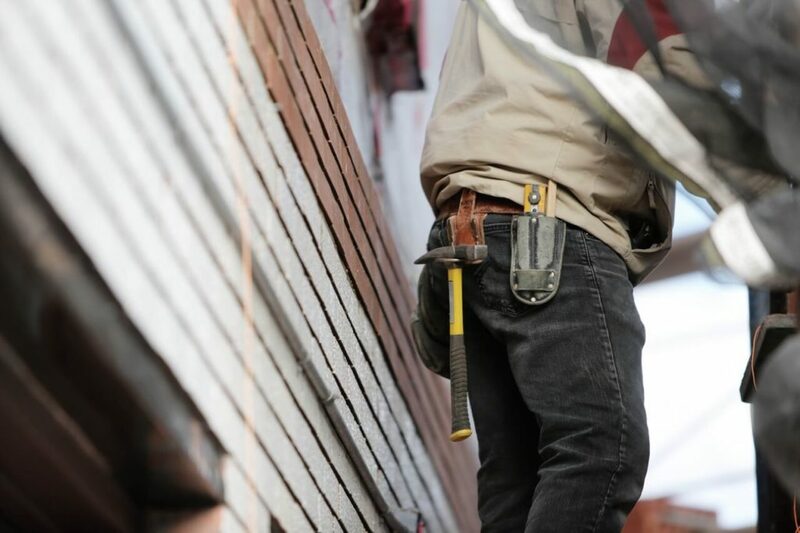 Falls from roofs account for more than one-third of fall-related construction fatalities, and these are experienced professionals. Falls happen for all kinds of reasons. One second of lost balance can lead to a whole world of trouble. All kinds of unforeseen events can cause a fall including early morning dew, brief summer showers, a sudden gust of winds, faulty equipment, or even a pesky insect. No matter how confident you are in your abilities, anyone can be a fall victim. Plus, even if you don’t fall, there are all kinds of way you can hurt yourself cleaning your roof. It’s pretty easy to twist your ankle, strain your back, or suffer all sorts of cuts and bruises. Despite what you may think, you might not be alone on your roof. Insects like wasps, hornets, and bees may have built nests in the area, especially in places that are difficult to see. Insect nests can be located on your roof, in your chimney, or in nearby trees. If you clean your roof yourself, you risk running into these tiny creatures when you’re already in a vulnerable position. A swarm of wasps or hornets is the last thing you want to deal with while you’re trying to keep your balance. Not only are you susceptible to painful stings (hope you’re not allergic! ), but you’re also more likely to fall. How many times have you cleaned a roof in your life? For the average homeowner, the answer is not many. For the experienced roofing professional, the answer is a ton! With that much experience and hands-on training comes a level of expertise that only professionals can reach. Not all roof damage is visible to the untrained eye. By attempting to clean your roof yourself, you risk missing key signs of damage that could escalate into larger problems. Plus, if you do find an issue, how will you know if you’ve fixed it or made it worse? Improper handling of roof issues can lead to more serious problems down the road. It takes experience and expertise to even know what to look for, let alone how to treat problems. Simply put, roof cleaning is just not a recommended DIY project. DIY enthusiasts will argue that hiring roof cleaning professionals is a “waste of money.” However, cleaning your own roof is not necessarily a way to save money. If you clean your roof yourself, you will still have to purchase tools and supplies. Plus, actually doing the work will take you longer because you are not a trained and experienced professional. And in the end, despite your best efforts, your roof still may not be adequately cleaned. Consider the costs of not getting a proper roof cleaning. The cost to repair roof damage or even replace your roof is considerably higher than a routine cleaning. You’re simply making a small investment in your property that will pay off over time. Especially if your roof cleaning provider, like Northwest Roof Maintenance, offers preventative treatments to keep your roof in good shape for longer. Cleaning a roof is a time-consuming, labor-intensive process. Do you really want to spend your summer weekends up on your roof? Probably not. Your time is valuable. That’s just another reason why you should leave roof cleaning to the professionals, so you can spend your time doing things you love. Also, cleaning a roof isn’t really that fun. The staff at Northwest Roof Maintenance loves it, but we don’t expect the average homeowner to share our passion. So go out and enjoy your weekend with your friends and family. Come back to a clean roof! Ready To Call In The Professionals? Owning a home is a big responsibility. Some home maintenance tasks you can easily do yourself, while others are best left to professionals. Take roof cleaning off your to-do list by contacting a professional roof cleaning company. Of course, you shouldn’t just hire anybody to clean your roof. Make sure you work with experienced, well-trained professionals like the staff at Northwest Roof Maintenance. We help homeowners in the Portland-Vancouver area with roof cleaning, repair, moss cleaning, and preventative treatments. Our friendly, expert consultants will take a look at your roof and recommend only the services we know will benefit you and your property. Contact us online or give us a call today at 503-740-4808 (Portland) or 360-558-3274 (Vancouver).